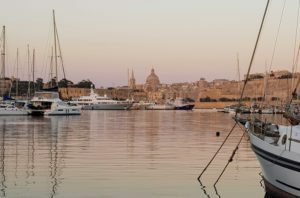 The Island of Malta and Gozo offer many natural attractive harbours where yachts may take shelter, supplies and enjoy all that these splendid islands have to offer. The Grand Harbour Marina stretches from Pieta (Sa Maison Area) going around Malta’s capital, Valletta, to one of the Three Cities, Vittoriosa. The Waterfront considered one of the most bustling areas in Valletta provides a scenic atmosphere, and in addition serves as a Cruise port, which contributes to the spirit of the area, whilst providing a picturesque view of “The Three Cities”, a collective of which Vittoriosa is a part of. Vittoriosa is a fortified city, identified to be the oldest of The Three Cities, with roots stretching back to the Middle Ages. This historic city is also home to the Malta Maritime Museum. Perhaps the most noteworthy attraction and provides the ultimate captivating view, is the Fort of St. Angelo, which towers over the area and ties everything together. Together, Valletta and Vittoriosa’s marinas amount to around 300 berthing spaces combined. 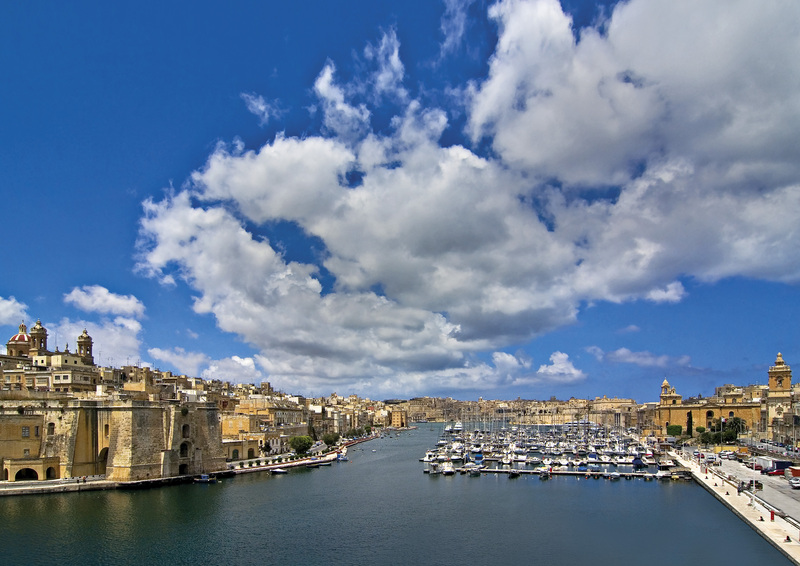 Another marina which can be found in the Grand Harbour is the Kalkara Marina. With over 100 berthing spaces, this marina also offers all facilities required, such as electricity supply and water, and is situated close to the Three Cities. A proud achiever of the Five Gold Anchors Award by The Yacht Harbour Association, this marina is certainly a prestigious one. The Portomaso Marina provides over 100 fully serviced berths, whilst maintaining a peaceful environment as a car-free zone. Situated in the heart of St. Julians, the marina is within walking distance of beaches, clubs, and top-class rated restaurants and lounges. 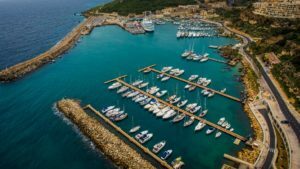 Malta’s sister Island, Gozo, offers visiting Yacht owners the Mġarr Marina, which is conveniently placed next to all the necessities. Situated next to the bus terminus, a taxi stand, car rentals, restaurants and even the ferry to Malta. With a landmass of 67 km², getting around the area is relatively easy. Although the island may seem small, the number of berthing spaces for this marina consist of over 220. Gozo boasts tranquil beaches and is known for its quaint charm. In addition to the appealing sites, Gozo has its very own history to explore, with evidence of the ruling by the Phoenicians, Romans, amongst many others. It is also known for its Neolithic Ġgantija Temple, which dates back between 3600 – 3200BC, and is placed in the UNESCO World Heritage List. This convenient marina is situated in the centre of Malta in the busy town of Gżira. Chandlery shops are available within walking distance, amongst all other necessities. Just a 20 minute walk away, you will find yourself in the heart of one of the most popular towns in Malta, Sliema. This area is bursting with shops, malls, restaurants and an iconic panoramic view of Valletta. Manoel Island Marina provides over 200 berthing spaces, and can accommodate vessels up to 80 metres in length stern-to or along-side. All required services are available daily upon request. Together, these two marinas form the largest marina on the island. There are mooring facilities for over 700 vessels on 15 pantoons. These marinas can accommodate pleasure yachts up to 22 metres in length. The Ta’ Xbiex marina is relatively close to Manoel Island Marina, thus accessible to the same additional services. From the Msida Marina’s side, it is closer to the capital city, Valletta.